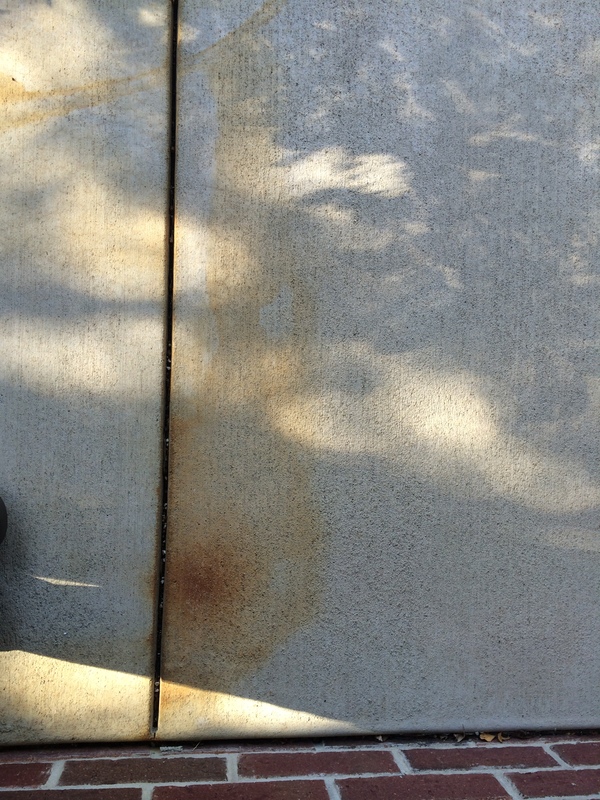 Let our rust stain removal experts help you! 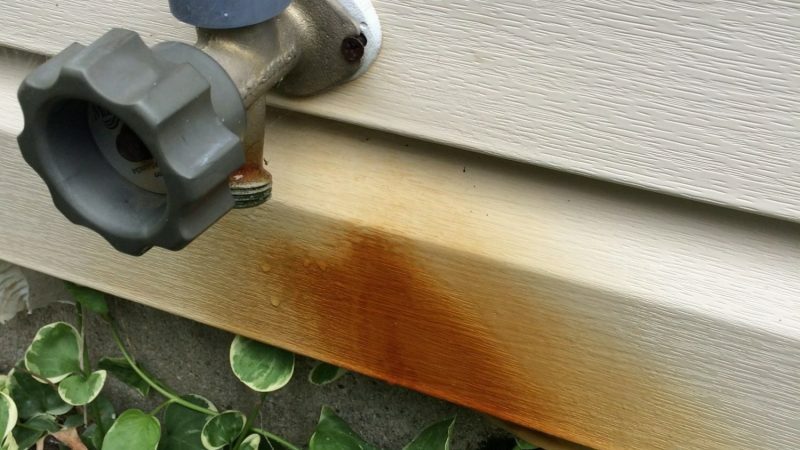 Rust stains make everything look old, outdated, and neglected. 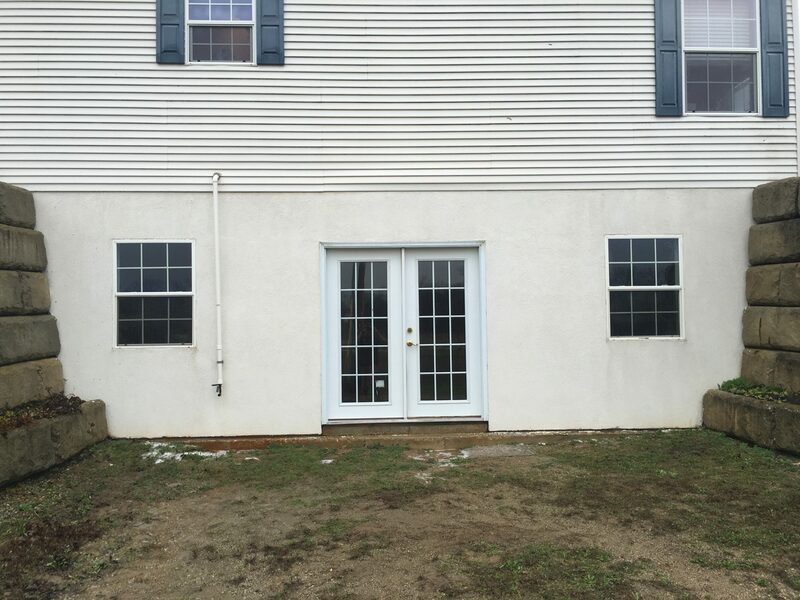 Your home is a reflection of you, and this is not the reflection you want! 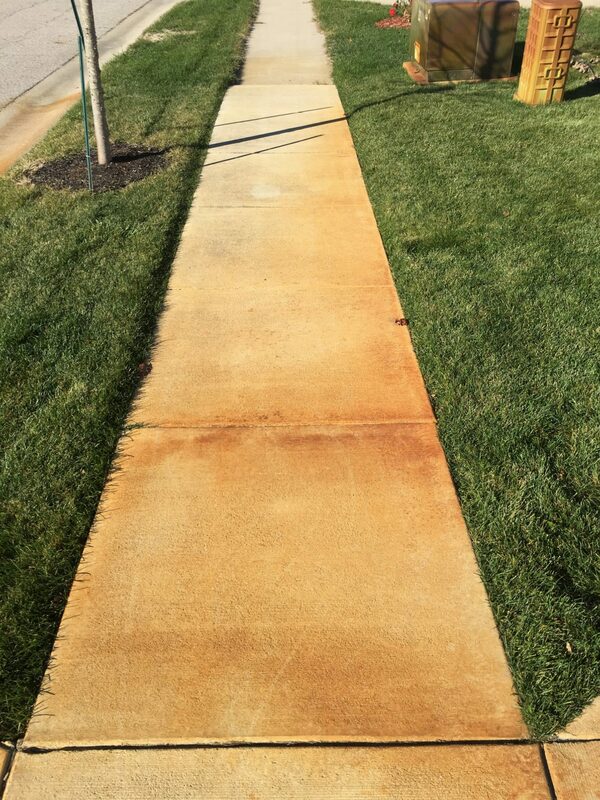 Put our rust stain removal services to work for you. 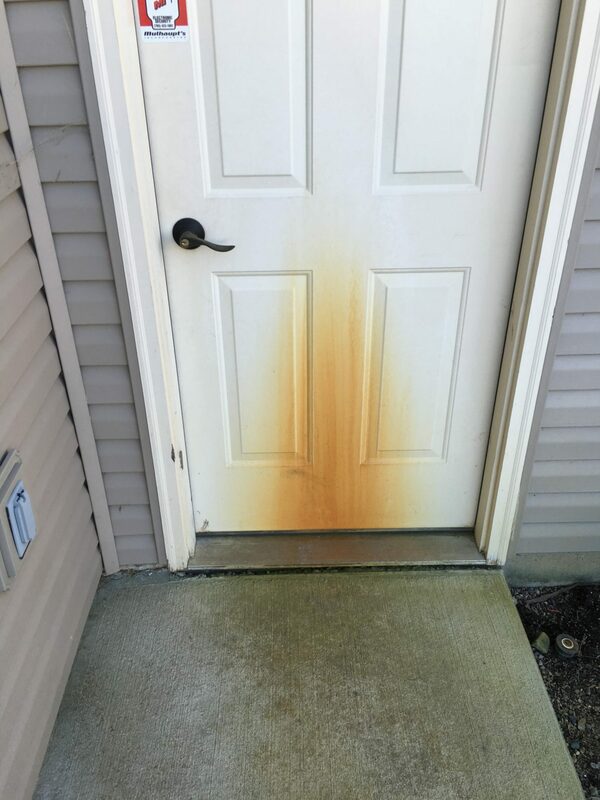 Everyone knows rust is one of the hardest stains to remove. 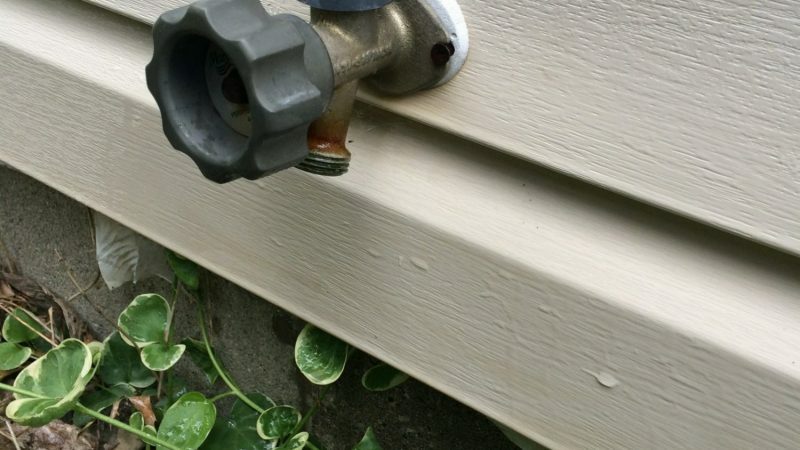 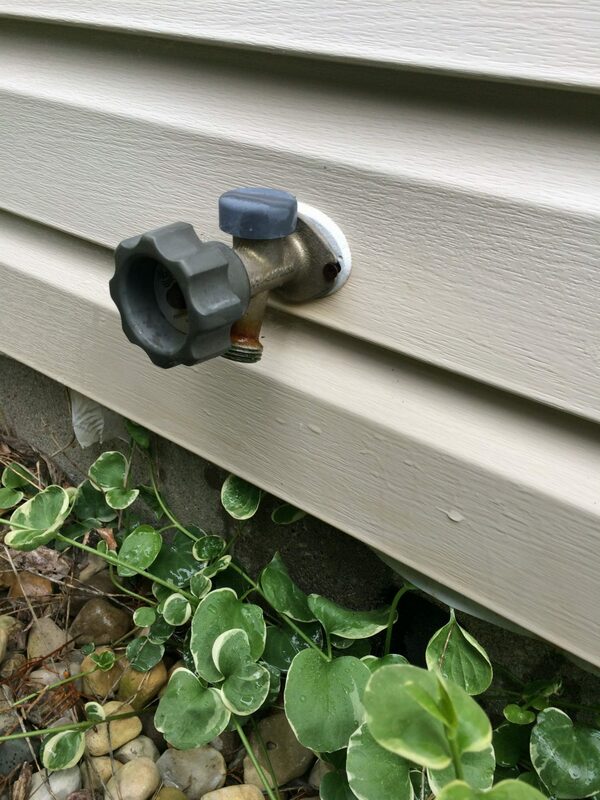 Leaky drainpipes, rusty eves and conduits, even landscape fertilizer (did you know it contains iron particles?) 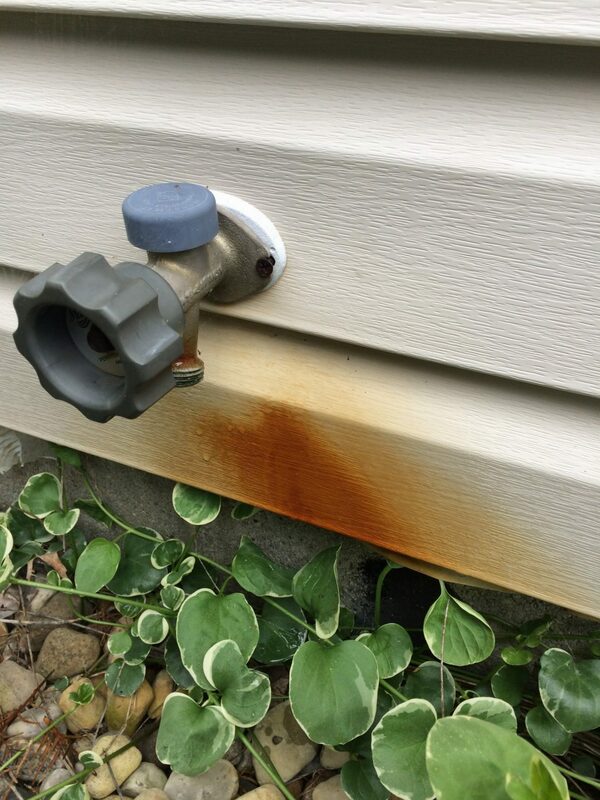 – all can leave rust stains, depreciating the look and value of your home. 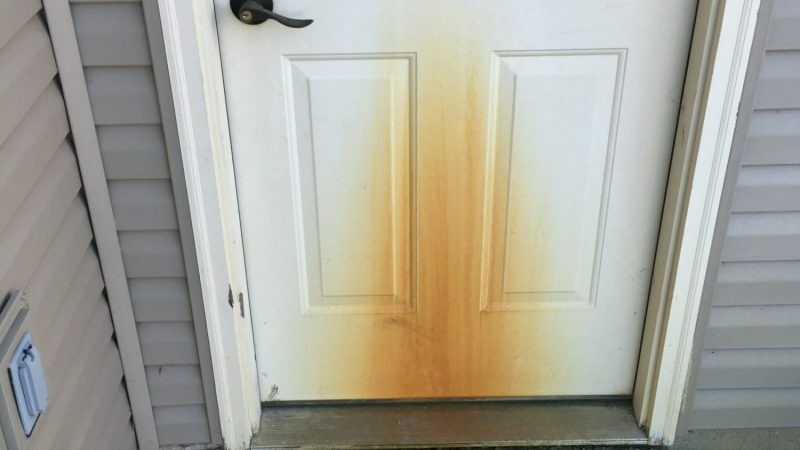 So what’s the solution to your rust stains? 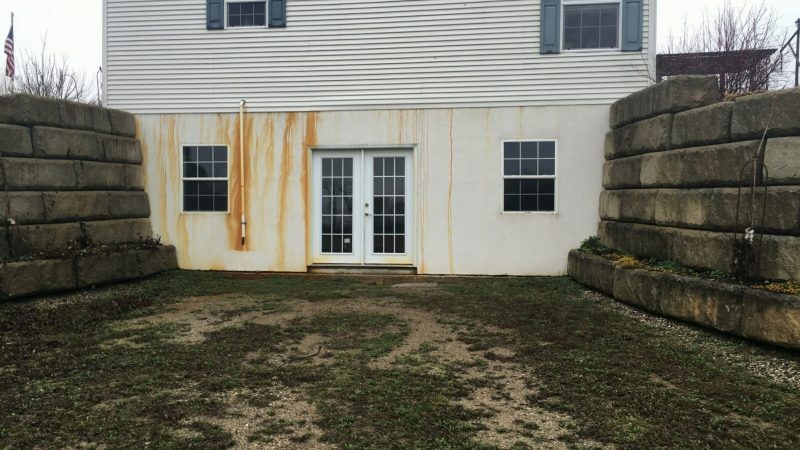 Call Anew Contractors for our rust stain removal services. 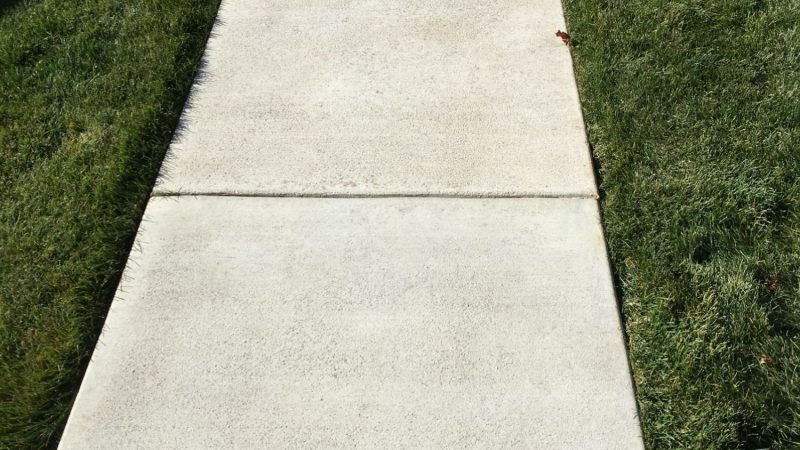 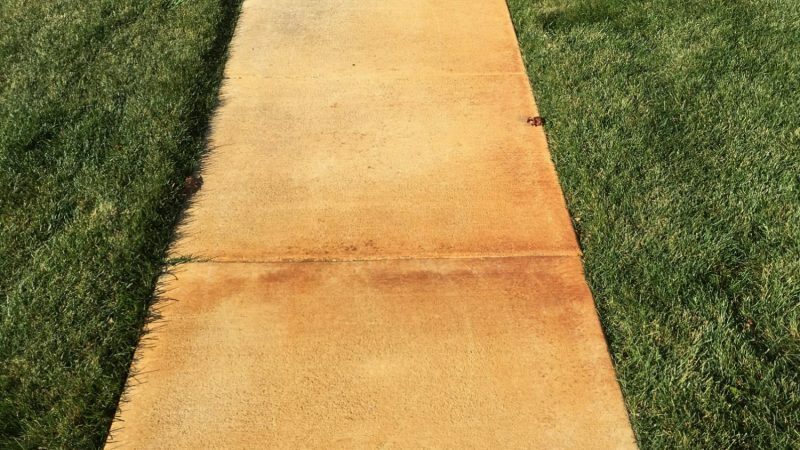 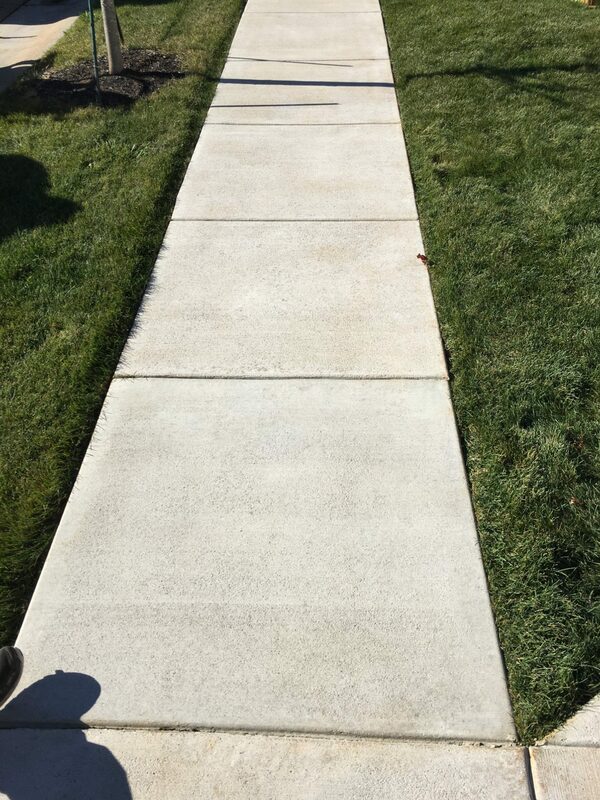 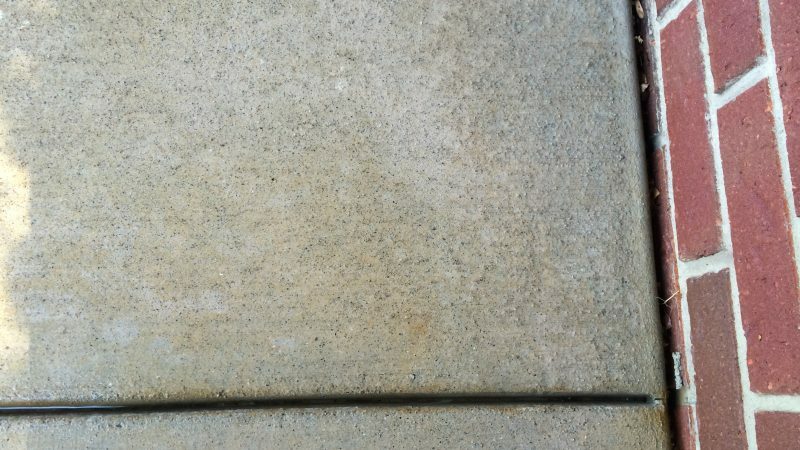 Anew’s contractors have specialized knowledge, equipment, and procedures for rust stain removal to leave your concrete, siding, sidewalks, and driveways looking bright and clean again. 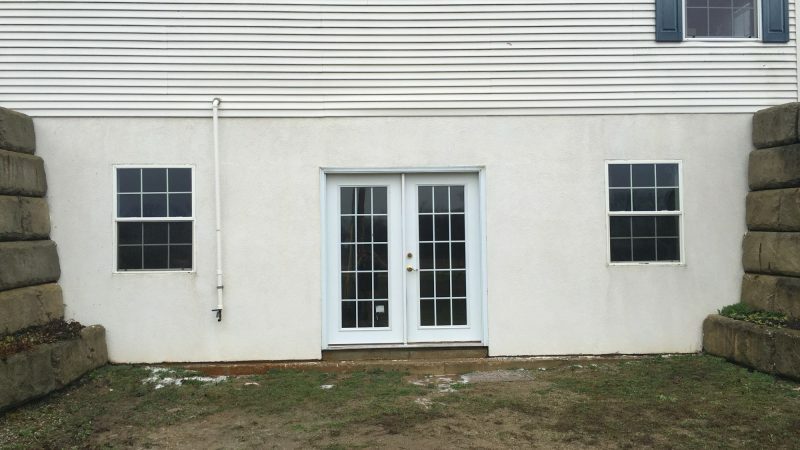 Anew’s extensive knowledge of proper procedures will preserve your property – even delicate, painted stucco! 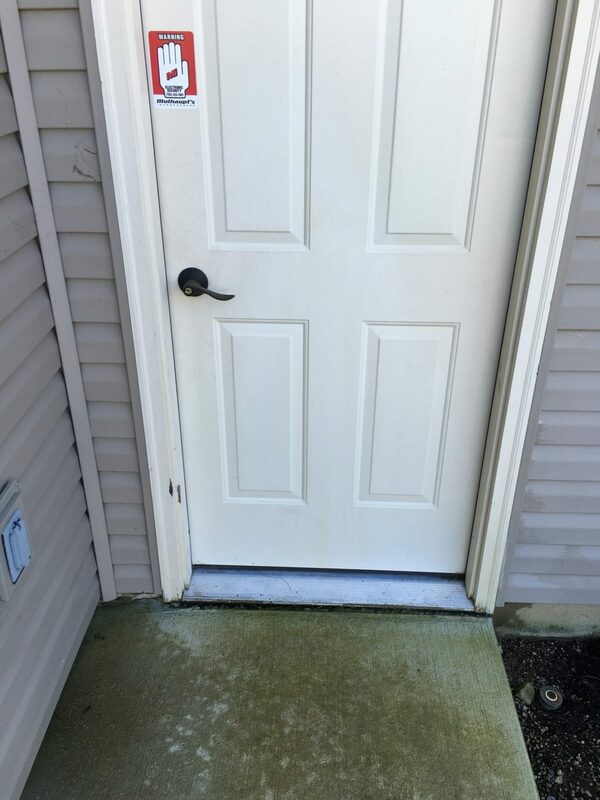 You’ll also find peace of mind knowing that we’re fully bonded and insured – you’ll never have to worry about costly insurance claims. 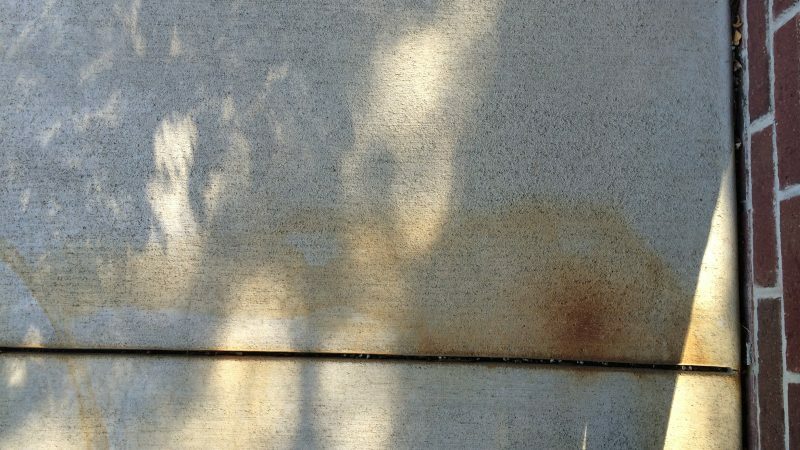 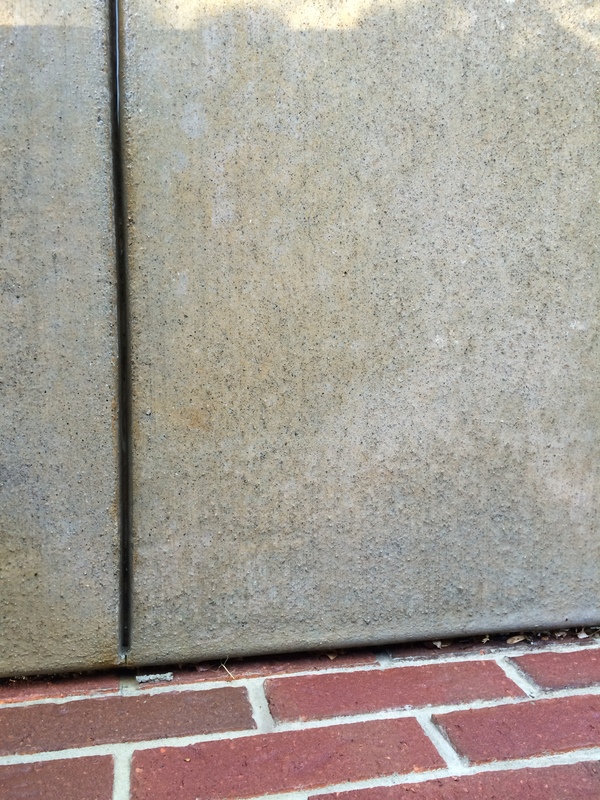 Anew Contractors will make the rust stains fade from your property and your memory. 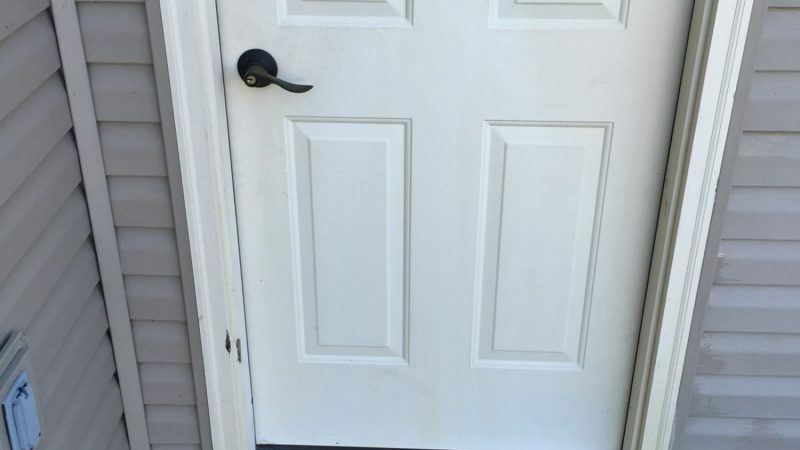 You won’t even recognize where the stains used to be! 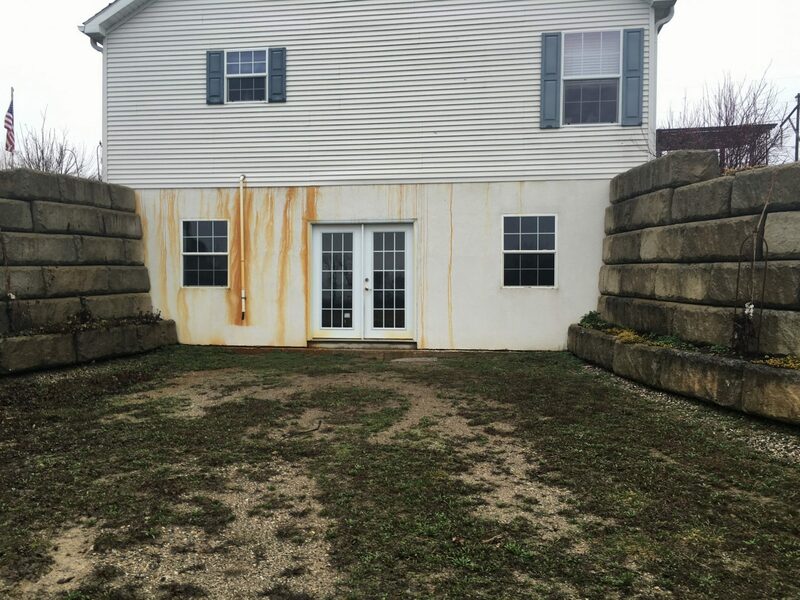 Call Anew Contractors in Tippecanoe County and vicinity to leave you and your property both looking good (and you feeling great)!